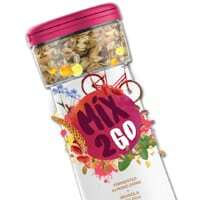 You can get a free sample of Gran Dia Mix2Go cereal. Just follow our link, click Signup button and then fill up the form with your details and you will be the first one to try out this new product. Click on “GET IT HERE” button and then follow instructions given above to get a free sample of this cereal.